I originally saw The Bodyguard at the West End a year ago. I was sceptical back then as I am fan of the film and it would be the first time I would see soul singer Beverley Knight acting. I walked out mesmerised. Saturday, I went again to see the show as a touring company. Although I fell in love with it a year ago I was again sceptical as this time I would be witnessing a ‘reality TV star come pop star’ take to the stage. When Ms. Knight left the West Endit was Alexandra Burke who took over the reign of Rachel Marron and as The Bodyguard hits the road she would be the leading lady again. Well, what can I say? I am happy I got the opportunity to see this show again. It was interesting to see it on a smaller stage. Take away the interruptions of certain audience members recording and the stewards flashing torches (but credit to the staff being so quick), this was a show! And a lot different to that of the West End - mainly in costume but a bit of script, set and character too! The opening is literally a fireball of an opening. I was surprised this was not part of the West End show as a touring show normally goes into smaller theatres therefore smaller stages. So, this was a very welcome surprise. The energy was heart-thumping from the swing section and the vocal acrobats of Burke definitely got the audience engaged from the start and all the way to the end. Burke and the bodyguard himself Frank Farmer (Stuart Reid), gave amazing performances and to comedy effect at times (cue bar scene for Reid). Burkes projection is amazing especially in the ballads. There was so much feeling, that even from the back seats of the stalls she had me on the verge of tears. Burke is definitely made for theatre. I must say though it was the characters of Nicki Marron played by Melissa James and the Stalker played by Mike Denman that were the stars, for me personally. James plays jealousy down to a T. And the ‘intense creepiness’ that Denman gives literally raises the roof off the Theatre Royal from the audience and their boo’s. I think it is fair to say that there is definitely an audience difference between that of the West Endand to this particular performance at the Theatre Royal. The audience, especially nearer the front were ready to get on their feet (and so were my little group). There were definitely more ‘crowd participators’ with shouts of ‘I love you Frank’ and almost pantomime effects of ooh’s and again the boo’s, for the Stalker. There were moments where I thought more emotion could have been carried off but when a show is 98% engaging I think these could be forgiven. The shows at the Theatre Royal are near to sell out (at time of writing I think only 30 seats are left, with performances running 18th April) but good news for those wanting to see it in the North East again, it will return but this time at the Sunderland Empire on 1-12 March 2016. Tickets go on sale Monday 20thApril. Cast is yet to be announced. 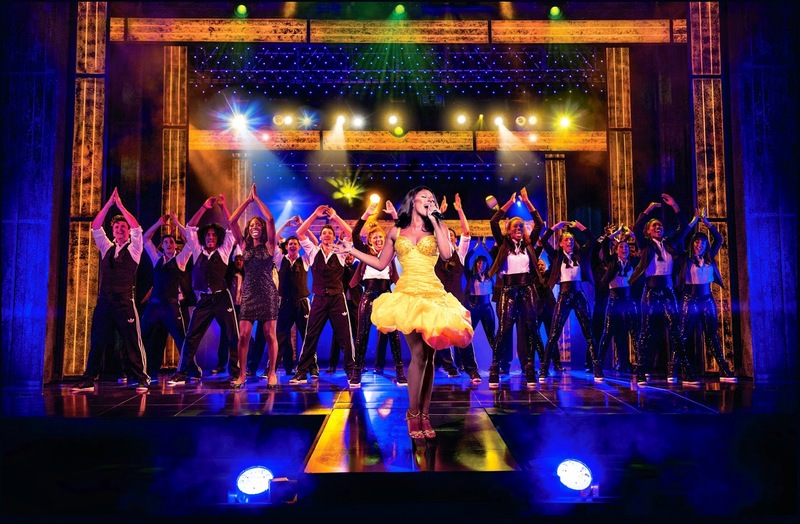 The Bodyguard appears at Newcastle Theatre Royal from Wed 1 – Sat 18 April 2015 (Evenings: 7.30pm, Matinees: Thursdays 2pm, Saturdays 2.30pm and Wednesday 15 April 2pm). Tickets are on sale now and are available from £17.50 (a booking fee of 95p - £1.95 will apply to most tickets) can be purchased from the Theatre Royal Box Office on 08448 11 21 21 or select your own seat and book online at www.theatreroyal.co.uk.